“Once one gets subluxation, hundreds of diseases are not idle. And everyone suffers with spine problem just in varying degree.” When you hear this beginning, you must insist that’s just exaggerating and sensational jingle, then you may rise a series of questions to doubt its dependability. Now the following 7 group’s questions and answers will tell you that is the truth, and it’s really important to recuperate spine regularly. 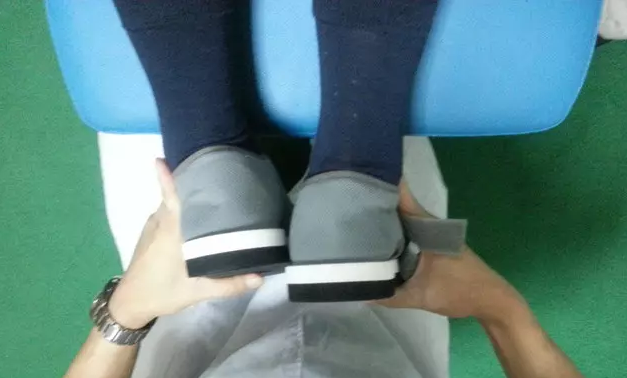 Besides the technology has made the chiropractic table to be more humanization and excellent quality, such as the chiropractic table from hill lab and china chiro-table brand. A: Subluxation, this word is derived from Latin, means dislocated slightly. Subluxation refers to dislocate slightly or the function failure of spine cone in biomechanics. The disturbances may cause the nerve roots and blood vessels branched by the vertebral foramen of each cone be stimulated. The stimulation of nerve may induce the muscle pain syndrome, its function disorder and imbalance of lymph and organ tissue of normal body. Q: What will cause the subluxation? A: Subluxation may cause by tumbling, injury, wound, or the spine defect in heredity sometime. Other causes include improper sleeping position or habit, poor posture, occupational injury, incorrect heavy lifting action, obscenest, the lack of rest and exercise, pressure, etc. Q: Does it hurt to do the chiropractic? A: Under normal circumstances, it doesn’t hurt in process of chiropractic, but for a just injured patient, he may feel unwell slightly when acute cervical sprain induces inflammation. Similarly, it’s fairly common to feel a sense of change shortly during the adjustment of nerve decompression. Q: If I’m not ill, should I do the chiropractic? A: Even if you’re free of symptoms, chiropractic could keep your body in good health and a comfortable level. Your chiropractor could suggest you some method of prevention of spinal disease, such as correct posture, dietary concept and keep-fit activities, etc. 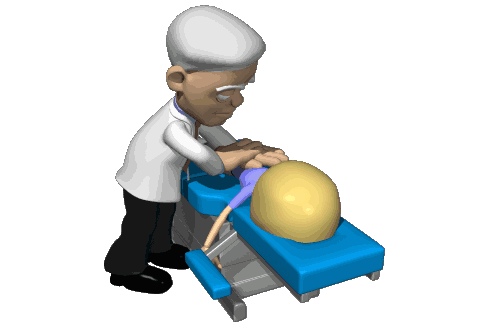 Regular spinal examination benefits to detect dislocation induced by spinal stress as early as possible. Q: How does the chiropractic help me? A:There’re 24 removable spinal joints for human body, the imbalance of nerves and blood vessel system to lead to the body’s stress induced by any one joint or above of them dislocation can be ameliorated through chiropractic. The chiropractic is conducive to eliminate these imbalances and disorders, then recover the function of body self-healing. Q: How old do child could start the chiropractic? A: No matter what age, subluxation may happen. For example, when childbirth, the process of pulling the fetus from doctor may cause the cervical and spinal wound, but without knowledge of that, parents ignore the subluxation influence, which may impact on the future development of adolescent muscle, bones and nerve system, even lead to the deformation of the spine. Early spine examination could check out many spinal symptoms as earlier as possible, then do the rectification and hygiene in time. Q: Is it very important to do regular chiropractic? A: The regular chiropractic is much important to rectify spinal dislocation to maintain the body’s health and comfort. In daily life, the spine is often under the state of stress. Incorrect lifting action, poor posture, accident, tumbling, crash and other conditions, all these could induce spinal tension interference. Timely chiropractic contributes the neuromuscular condition of the spine to recover to normal balance and improve the body resistance.